Kalyanasundareswarar Temple is a Hindu temple located at Thiruvelvikudi in the Kuthalam taluk of Nagapattinam district of Tamil Nadu, India. 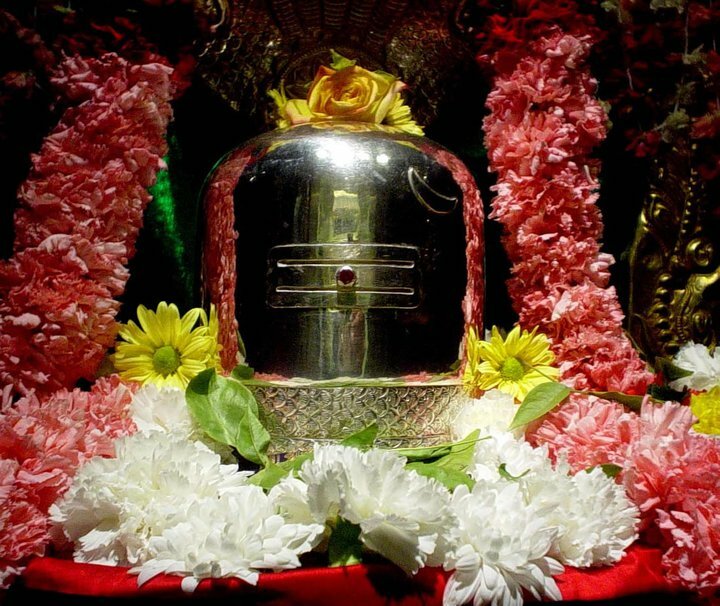 It is dedicated to Shiva. 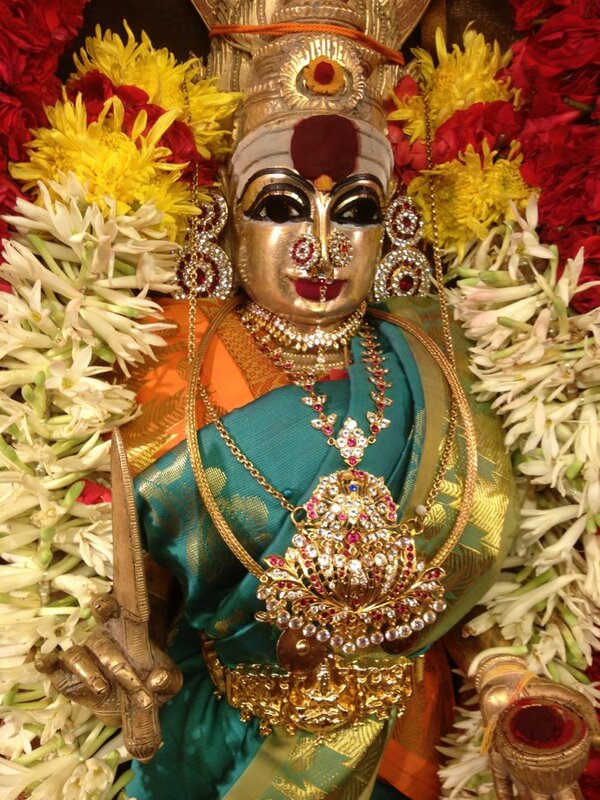 The presiding deity is Kalyanasundareswarar and the consort is Parimala Sugantha Nayaki. Hymns have been composed in praise of the temple by Sambandar and Sundarar in the Thevaram. Sundarar is believed to have bathed in the Agni theertham at this spot to cure himself. 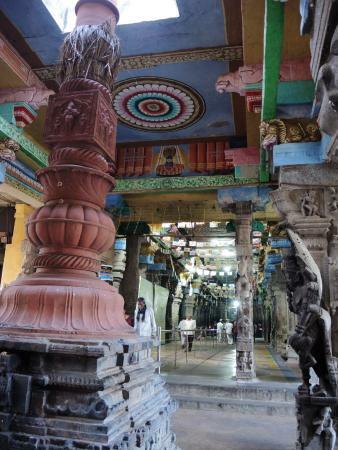 Thiruvelvikudi was also the place where Shiva granted half of his body to Parvathi making Thiruvelvikudi the birthplace of the Ardhanarisvara cult. 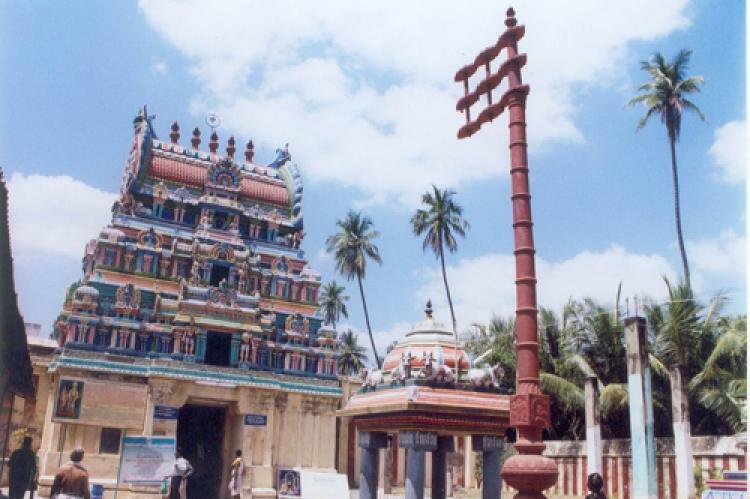 Thirumanancheri (Thiru Manam Cheri) is a village located near Cauvery River in Nagapattinam district. The village name comes from the god Shiva. Thirumanam mean marriage; cheri denotes a village or hamlet. Shiva married Parvathi at this place so the village is called marriage (Thirumanancheri). Mother Parvathi was born to Sage Bharatha in Kuthalam near Tiruvelvikudi. She performed penance for 16 Mondays on Lord Shiva to have His hand as Her Lord. Mother made a Linga of sand for the penance. 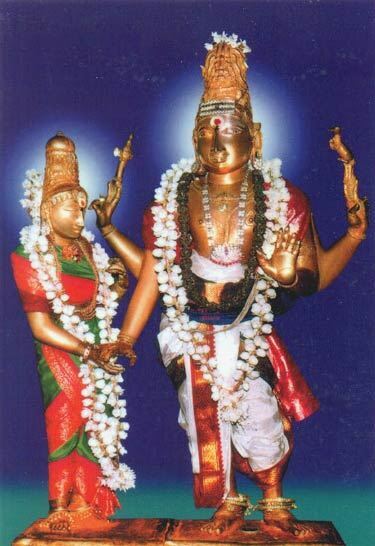 On the 17th Monday, Lord appeared before Parvathi as Manavaleswarar and promised to marry Her. Accordingly, the rituals were conducted with Brahmma being the head priest for this divine marriage. Hence, the place is named Tiru Velvikudi. No poet can describe the beauty of smiling mother in the temple. Lord Shiva blesses all men and women granting their wedding boon. As per the legend. This famous temple helps to overcome the obstacles of Marriage and divorce. So many people are visiting to the temple and benefited. In the Temple, there is a special pooja for the person who seek for a nice partner. After the Marriage the Couple have to visit the temple to return or dispose the Prasatham in the Temple pond. 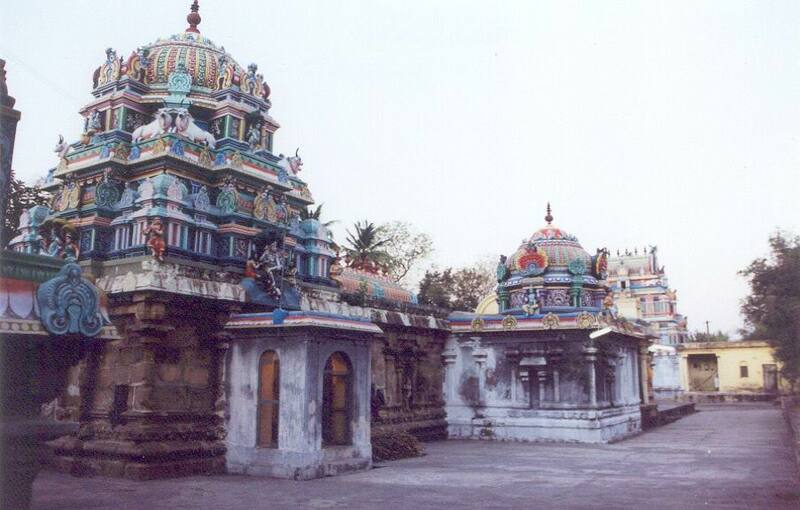 Sri Kalyanasundareswarar Temple is a popular visiting place for Hindus. It is one of the shrines of the 275 Paadal Petra Sthalams – Shiva Sthalams glorified in the early medieval Tevaram poems by Tamil Saivite Nayanars Tirugnanasambandar and Tirunavukkarasar. 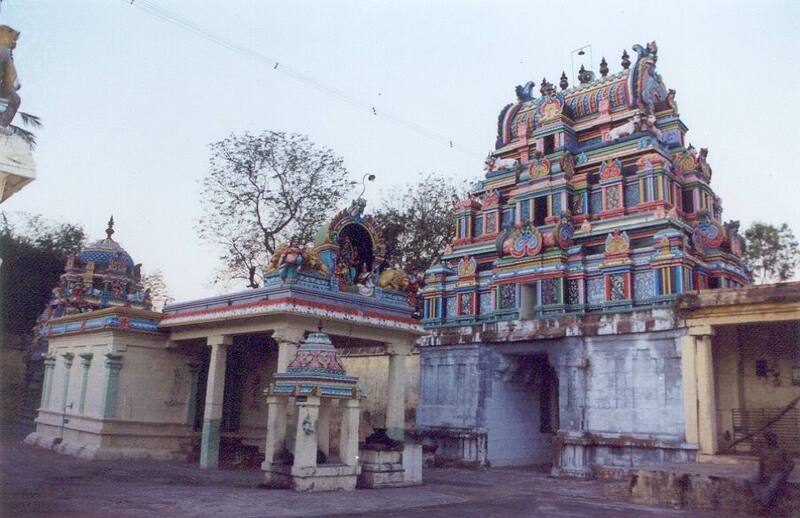 Udhvaganathar Temple is another name for this temple. Edirkolpadi Temple is another popular temple located nearby in the same town.